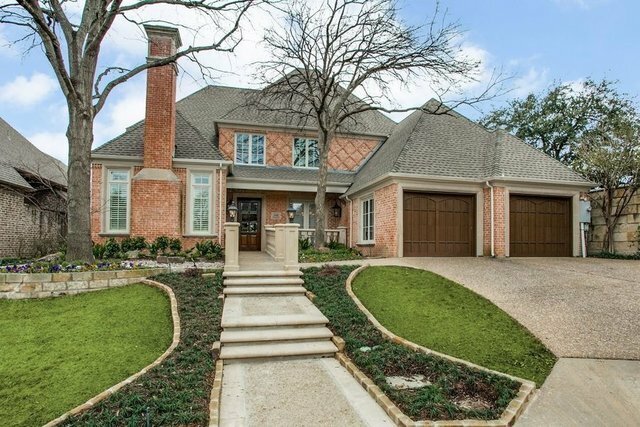 Beautifully updated hardscape entry to this luxury home in the gated Lake Forest community. Exterior improvements with exceptional features: lighting in the cast stone steps, landscape, cast stone handrails, and flat surface sidewalks to the front door. Three-car tandem parking. Garage door. Exterior paint.Interiors have fine finishes; High ceilings throughout; Marble entry floors; Large walls for large furnishings. Kitchen opens to Family and Breakfast rooms and views of the large private backyard and Koi pond, waterfalls and walkway. Luxurious Master suite and additional bedroom on first floor. Living Room, Dining, Study complete first level. Media room and Bedroom en-suite are on second level.Cul-de-sac location.